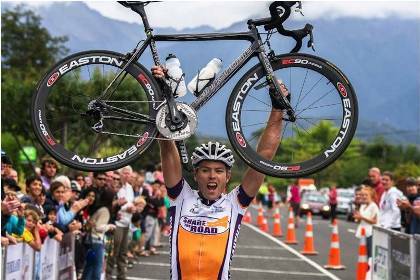 Our annual and incredibly beautiful road racing event is a 120km race from Milford Sound to Te Anau along what is described as the most beautiful road in the world, the Milford Road. This is the only road entering Fiordland National Park. There are 3 individual races; The Milford Mountain Classic which is 120km from Milford to Te Anau, The Ricoh Homer Hundred, 101km from the Homer Tunnel to Te Anau and the Eglinton Challenge 60km from Knobs Flat to Te Anau. The Milford Mountain Classic takes place annually in January. See our events calendar for this year's date and go to the Milford Mountain Classic website for more information. To join in cycling club rides, and find out about cycling issues being addressed in the town, go to Te Anau Cycling Inc. The Fiordland Trails Trust is also working to connect Manapouri and Te Anau by a cycle way.